Like most regions Agony frequents, Curse is npc nullsec. This means it's seeded with npc stations and can't be claimed (at least in a game mechanic sense) by a player alliance. The result is something of a cross between lowsec and regular 0.0 - all the day to day mechanics of nullsec space (bubbles, bombs, no gate guns etc), but open to any who choose to call it home. Large alliances can't really claim or control NPC regions. They could base there if they wanted to, but they have no real way of preventing others from living there too (other than just trying to make their lives difficult and hoping they leave). There's also not much benefit for a large alliance in being there - the regions aren't strategically secure, and they can't upgrade them to create safe ratting and/or supercap building pockets. Because of this, large alliances are conspicuously absent from npc space, only really basing there for short periods when they've recently been kicked out of their home or are staging to move into a to a new one. In their place you'll generally find a lot of small to medium entities. You'll also find a lot less NAPs (that is, everyone setting everyone else blue), since there's no threat of losing your space and thus little incentive for a PVP-centric group to limit their targets. And talking of PVP-centric groups, that's generally what you'll find here - due to the lack of game mechanic restrictions as well as interference from larger alliances, npc nullsec is a haven for small and medium gang PVPers looking for a fight. Curse is a fairly small region, but almost every system has at least one station. This means it can support quite a substantial population in close proximity to each other. It's accessible directly from empire lowsec via Sendaya in Derelik, just a few jumps from nearby hisec, making it easy to access and fairly convenient for moving supplies in and out. The constellation close to the entrance, noteable as being the only one in the region with traditional system names, is especially busy as a result of this. The one empire entrance in Doril does make a tempting location for a camp, but the level of activity in the area means that most will be forced to move on before too long. A major effect on the region however comes from what surrounds it. 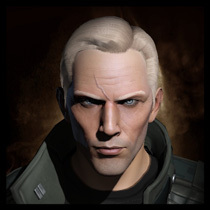 To the south, Curse connects in two places to the much larger (and recently contested) sov nullsec region of Catch. To the north and east, you'll find the popular roaming region of Great Wildlands, and the deeper sov region of Scalding Pass. Catch in particular brings a lot of traffic into the region, with the two Catch entrances providing a convenient back route and roaming opportunity for gangs based in the region. This is especially true when Catch is contested and actvity there is high. The Catch entrance in Jamunda brings passing gangs right through the busiest constellation in Curse, and right down the pipe towards VOL-MI. Anyone roaming the pipe when activity in the surrounding areas is high should be prepared for the occasional large gang passing through. This brings me on to my next point (and my main gripe with Curse as a region) - pipes. The empire-facing half of Curse is effectively one big pipe from 1P-WGB in Catch all the way to VOL-MI with a few side systems. While this means very high traffic making the area excellent for bubble camps, it makes roaming quite difficult; if there's a camp on the pipe you can't get past, you don't really have any alternative route of getting where you want to go (short of a 30 jump loop through Catch). This is more of a problem if, like us, you live on the empire side of the region (or roam in from empire itself), since the good roaming routes tends to be deeper in. But enough about PVP, what about isk? Well, this is a PVP centric blog, but I'll indulge you. Curse has unusually high bounties for rats - upwards of 1m on most rat battleships (which are abundant), compared to 500-800k in comparable regions like Syndicate and Pure Blind. If you can find a quiet system, this means ratting in Curse can be pretty lucrative. On top of this, Curse has a lot of good mission agents, and angel missions can bring in a lot more than hisec level 4s. The constellation around G-0 is especially famous for this, with a large number of level 4 quality 20 agents in a very small area. Of course, running level 4 missions in 0.0 involves some risk - unscannable tengus seem to be the ship of choice. If t3 cruisers aren't your thing of course, there's always the angel epic arc. This works much like the hisec epic arcs; a string of missions following a unique storyline, runnable once every three months. Unlike their empire equivalents though, pirate epic arcs are designed for small ships (think t2 frigates) and the rewards are substantial. Taking (or so I'm told) only a few hours to complete, completing the arc delivers rewards with a current market value of around 250mil - not bad for an evening's work! So how about a tl;dr? To summarise, Curse is a great region if you want a lot of action without having to go very far to find it. Living in Hemin as Agony did, the amount of traffic means you'll hardly have to leave the system to get fights. As far as npc space goes, it's also pretty great for making isk. The downside is that while there are plenty of good roaming locations just a short distance away your route can easily be blocked, and activity (in particular the presence of large gangs) is quite sensitive to what's going on in the neighbouring regions. A very interesting analysis of how geography affects the character of a region. Presumably, then, an area with no clear pipe would have great roams, but less of a guarantee that you will find what you are looking for. You're right to an extent. Take Syndicate as another example - this is another great NPC region for PVP. Syndicate has one pipe in the middle, but is otherwise more like a web, with many different routes between any given systems. The lack of pipes means fewer camps, which makes roaming easier. Every route you can take though your targets can also take, meaning they're less likely to bump into you. That said, Syndicate is still great for pvp - being able to find a fight is more about concentration. 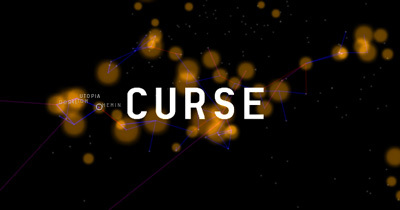 In Curse, the majority of the population is squeezed into one constellation, mainly due to ease of access. In Syndicate (which has 5 empire exits) it's considerably more spread, but you can still find people once you learn where they are. As a counterpoint, while a concentrated population means you don't need to travel so far, it also increases your chances of being blobbed out once you find it, or to have a third party to jump into your fight while it's still going. My favourite thing about Curse was the aptly named OSH-1T system on the way down towards stain.